This week's Diva Challenge (#64) is to begin with a string of a square pie: the tile is divided into 8 sections, creating 8 triangles to fill with different tangles. I tend to like the curlier strings, so this was a good challenge for me. Laura mentioned that she watched for the opportunities to blur the lines of the string, and I love doing that, so there was a comfort level in that process. I had fun doing it, and then had fun looking at it when it was finished. But while on a long phone call, I was looking at it again, and the question came: WHAT IF you made the outside border black? 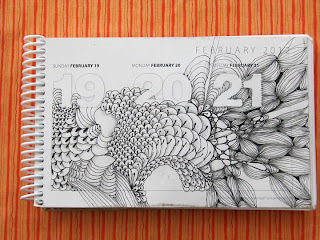 I usually try not to argue with the WHAT IF so while I was still on the phone, I inked in the border. Hmm. Sometimes you just have to take the risk. It's a small risk, as there is always another chance with another tile and another WHATIF. It's not about what it looks like, it's about the courage to leap and accept the outcome as part of the fun. 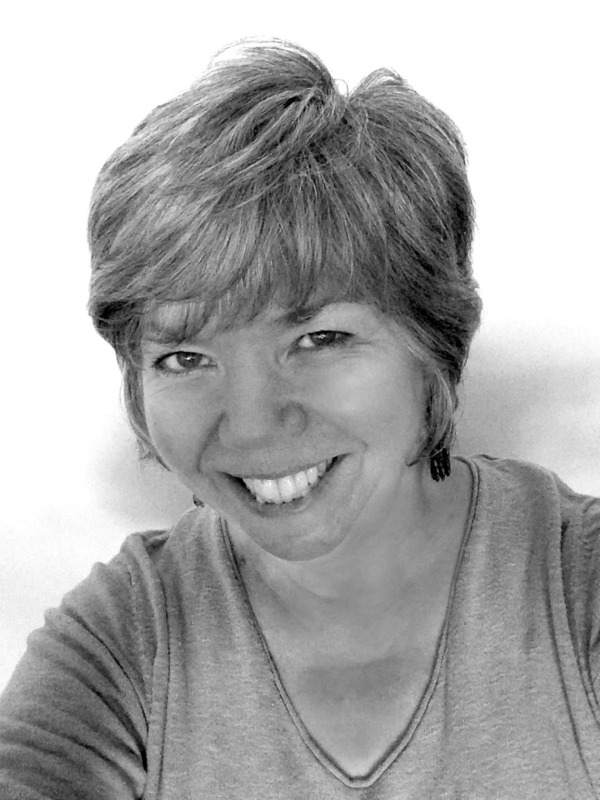 Thank you Laura, and thank you little voice inside that is always asking the WHATIF. Fengle is a dance for the pen! But what I like most is: It makes me ask "what if I..."
I usually do Fengle along with a string. I begin the first Fengle in the middle of a string section. I stretch the S's out to reach the edge of the section, then finish the basic shape of the Fengle. I then move to another string section and make another one. Most often, by the time I make my second or third Fengle, they are bumping into each other, and flowing behind, so I let that happen. I then start filling in the Fengles, but usually not one at a time. I might do a few stroke on one, then move to another, so by the end of the tile, they are pretty much melted into each other. Those 'what ifs' occur often, as there are many little spaces to fill in and discover. And the SHADING!!! 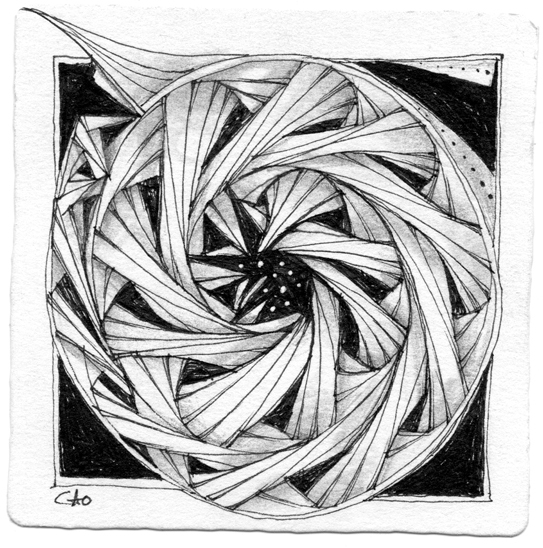 There is nothing more fun for me tangle-wise, than finding places to shade after the pen has done its dance. 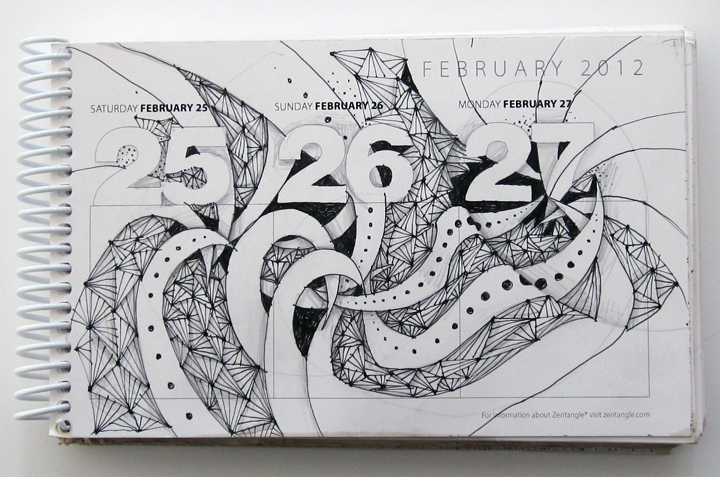 Fengle is one of the most fun tangles to shade, as it automatically creates shapes that magically emerge as you go along. Even more shapes emerge once the shading begins! This is when the dance heats up for me. I turn my tile often, looking for the shapes that I don't see yet. Twirling and swirling, just like Fengle itself. Thank you, Maria Thomas, for this lovely gift. Thank you, Laura Harms for posting it as a challenge, as I am so inspired by what everyone has done with this tangle this week, and it's only Tuesday!! 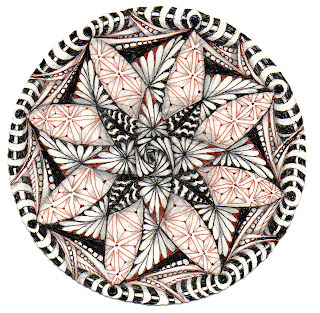 The new Zentangle® Zendala prestrung tiles are finally here, and it was worth the wait!!!! 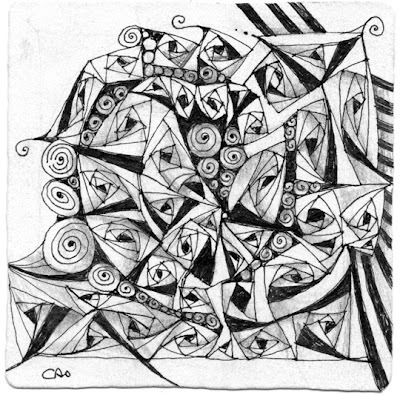 Right now they are available through a Certified Zentangle Teacher, but soon will be available at zentangle.com. I finally got to sit down and play with this wonderful new product. 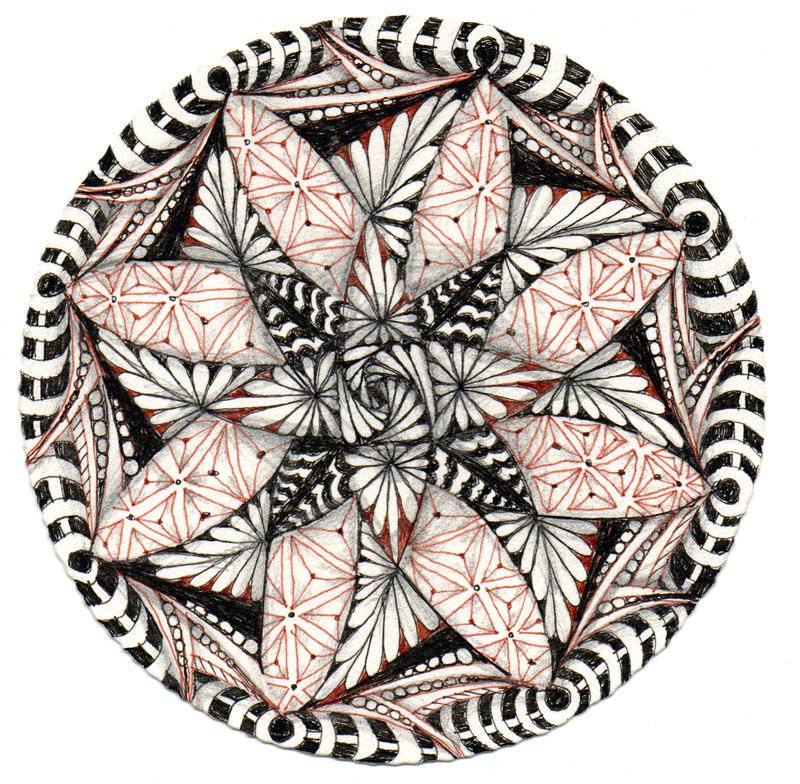 I've always love using Zentangle to create mandalas. Creating a mandala string can be very daunting. And even though I found a method to help me with that (described on page 10 of Suzanne McNeill's book, Zen Mandalas), I LOVE these prestrung tiles! No thinking, just tangling. 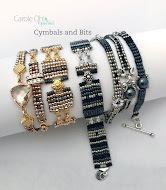 Each set has 21 tiles: 3 blanks, and 18 prestrung--2 sets of NINE different strings. 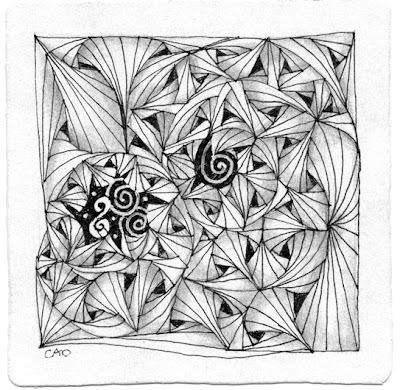 The tiles are the same paper used in the official Zentangle tiles... smooth and creamy. 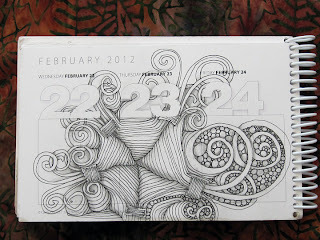 I especially love to use the Micron black and brown together. If you like the art of Zentangle, you have to give these a try. Doing a Zendala can take you into a deeper level of relaxation. There is something about repeating the same pattern the same amount of times in a circle that is really calming, yet more focused at the same time. It never ceases to amaze me what happens in this process. Time melts away. Lists disappear. Just a sense of being with what is at the end of your fingertips. Pure joy. 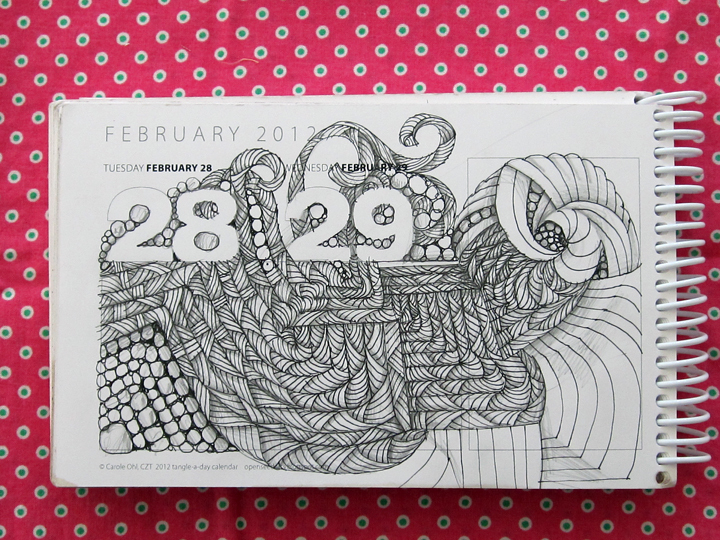 Thank you, Zentangle team, for this amazing gift! I can't wait to teach the next class... coming soon so stay tuned! This week's Diva Challenge is brought to us by Marizaan van Beek. When I saw her challenge tile, I fell in love with it and couldn't wait to start my own Spiral vs Paradox challenge journey. 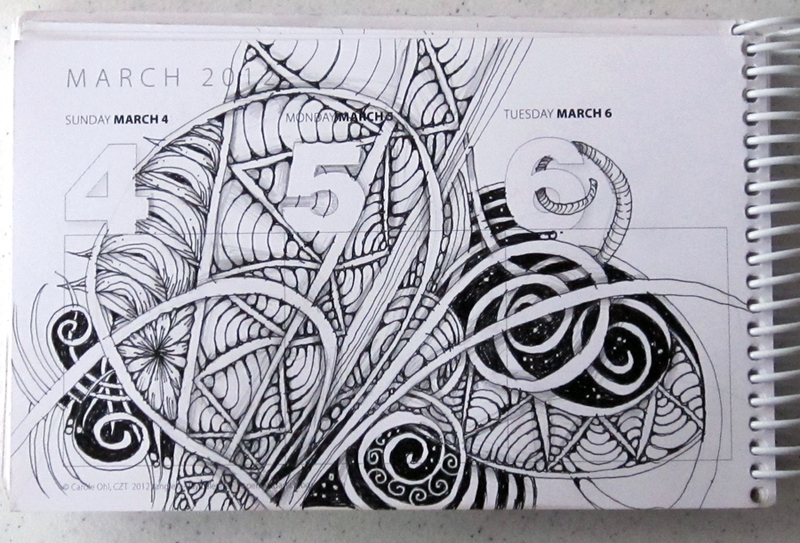 I hadn't gotten it out of my system yet, plus it was a rainy Monday afternoon and my friend had the idea to go have coffee and tangle. Now that's a way to spend a rainy Monday: a big creamy cup of Irish Mocha and a Paradox spiral. There was too much chit chat to pay attention to where each triangle started on this one, but the end result feels exactly like the lovely afternoon. Thank you Laura, Marizaan, Loretta and Zentangle!! I'm back in the pool of the Diva Challenge this week! 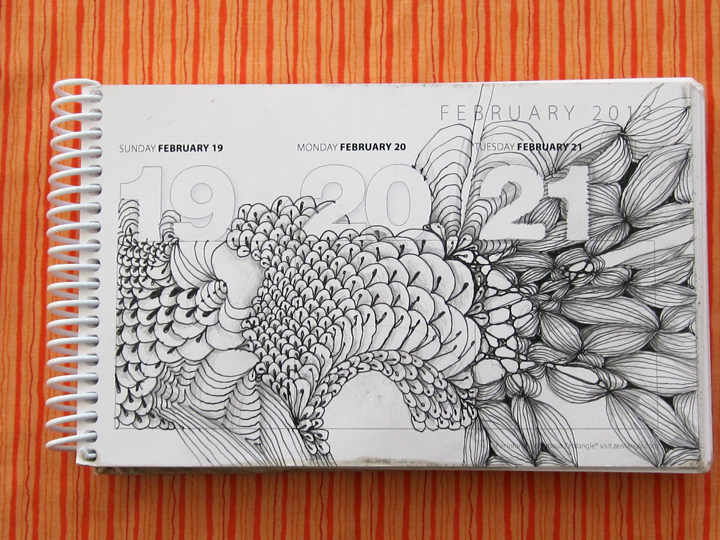 I took my calendar to Panera for breakfast on Tuesday, sat by the fireplace and happily tangled Golven, from Mariet. I was tempted to use it in border form, as it works SO nicely for that! But I'm in the middle of a creative explosion over here, so a border it would not be. It appears that Golven wanted to fly off the page, bursting through the string I began with. Borders and boundaries are essential when a creative explosion is happening... (Did anyone see Modern Family last night?) The dreamers and the realists together create a most beautiful balance. 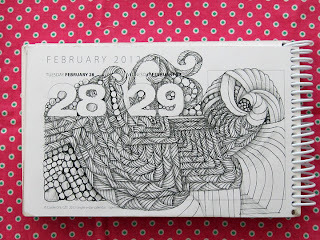 And so it is with Zentangle: The string creates the 'elegance of limits', but always allows for the rush of fluidity. No wonder it's so dang fun. What I do know is, it's been a while since I've entered a blog post! As I've been letting the days go by without a post, other things have required energies, and so it goes. Lots of fun stuff, lots of creative juices all around and through. Lots of water flowing underground that hasn't yet seen the light of day, but I can feel it just the same. I've also missed posting TWO Diva challenges, although I did do last week's (#60), but didn't get to post it in time. 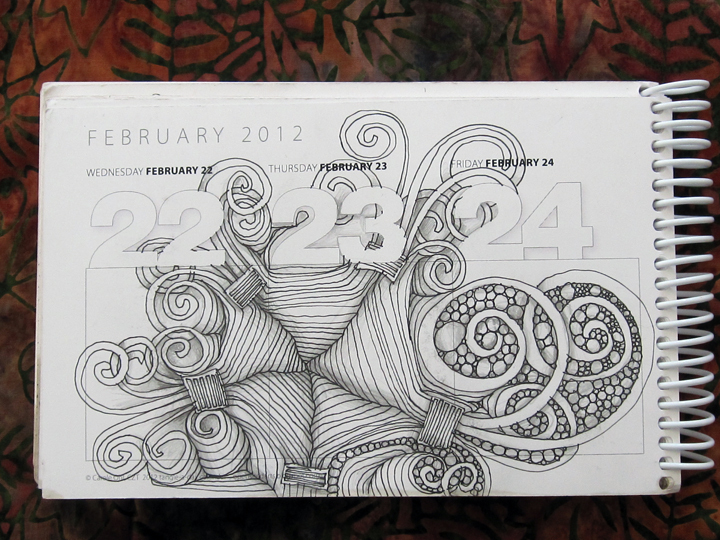 The February 25-27 page below is my response to that challenge. Lots of fun!!! Thank you, Laura!